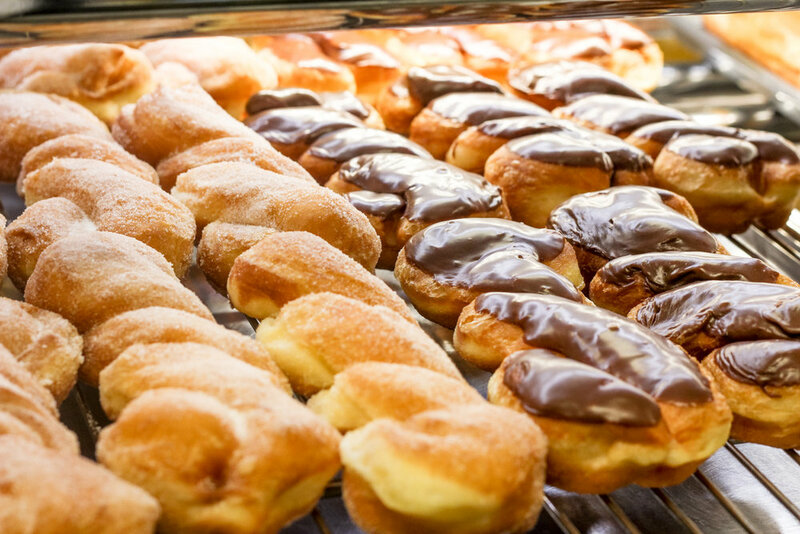 Since 1987, locals in Glassell Park have known they can find quality coffee and donuts at ABC Donuts. Starting with a modest offering of pastries and donuts, our menu has expanded to include sandwiches, fresh juice, and other popular items from our kitchen. We are known in our neighborhood for having outstanding coffee, delicious pastries, and satisfying specialty sandwiches made from the highest quality ingredients. ABC's Owner and chef Howard comes from a family of bakers and pastry chefs in Cambodia, and brings nearly 20 years of experience to the Glassell Park. He can be seen hard at work at the shop serving customers on most days, making a point to remember repeat customers’ favorite orders. Locals recognize Howard by his smile and habit of going out of his way personally to ensure each customer is happy.